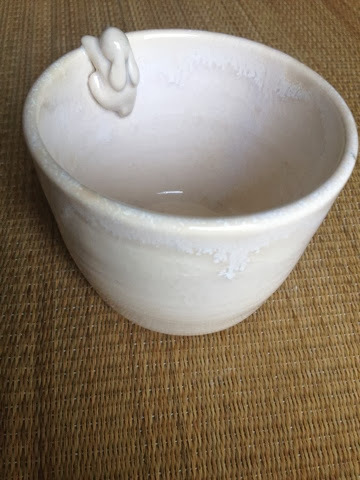 This is for putting cold noodle sauce and wasabi mix so u can enjoy yr cold noodle using this small cup, I hv already kept a beautiful pair, this one just for fun. The yellow on mother of pearl effect is very subtle, my favourite as it calms ones mind:) but not popular as sharp color draws more attention. I also love matt white which I seldom sell, again, not many people appreciate.